Global News : 05.09.2018, Lucknow, India, The IICCI is issued an international press release that “Indo-OIC-Islamic Chamber of Commerce and Industry (IICCI)” is granted Accreditation as an “Observer Organizations by IGC of World Intellectual Property Organizaton (WIPO) www.wipo.int The World Intellectual Property Organizaton (WIPO), IGC i.e. Intergovernmental Committee on Intellectual Property and Genetic Resources, Traditional Knowledge and Folklore (IGC) is approved on dated. 31 st August 2018, and released on 31st August 2018, meeting held from 27 to 31st August 2018 in Geneva, Switzerland . The World Intellectual Property Organization (WIPO), is one of the 15 specialized agencies of the United Nations (UN). The President of IICCI Dr. Mohammed Seraj ANSARI has expressed his congratulation to the IGC of World Intellectual Property Organizaton (WIPO), and IGC Members who has considered our IICCI Global Chamber as one of the potential observer members to contribute & help IGC of WIPO and its mission to provide leadership and encourage future partnership in caring for development of a balanced and effective international intellectual property (IP) system that enables innovation and creativity for the benefit of all. The IICCI Chamber would like to work together with IGC of World Intellectual Property Organizaton (WIPO) so that IGC of WIPO can strongly pursue a country-driven approach in its operations..
ISE Cards India Limited (A Group of Companies) has developed & Launches two ventures as Global Brands 1-Buktel Technologies, (IT Software Development & Products) http://it.buktel.com and 2-Buktel Healthcare Services (BPO) http://healthcare.buktel.com . Global News : Lucknow, India (August 06, 2018) — ISE Cards India Limited (A Group of Companies). an international multi brands exports and imports channel company that markets Telecom, Electronic Consumer Goods, Computers, Hospitality, Real Estates, and Textiles – directly and through resellers as well as IICCI Global Chamber Networks – to information technology professionals worldwide, announced today (04.08.2018) the Launches Two Ventures and Brands, 1-Buktel Technologies, (IT Software Development & Products) http://it.buktel.com and 2-Buktel Healthcare Services (BPO) http://healthcare.buktel.com . These two ventures are launched by the hand of Dr. Mohammed Seraj ANSARI, the International President of Indo-OIC Islamic Chamber of Commerce and Industry-IICCI in HQ of ISE, Lucknow, India, in the presence of Mr. 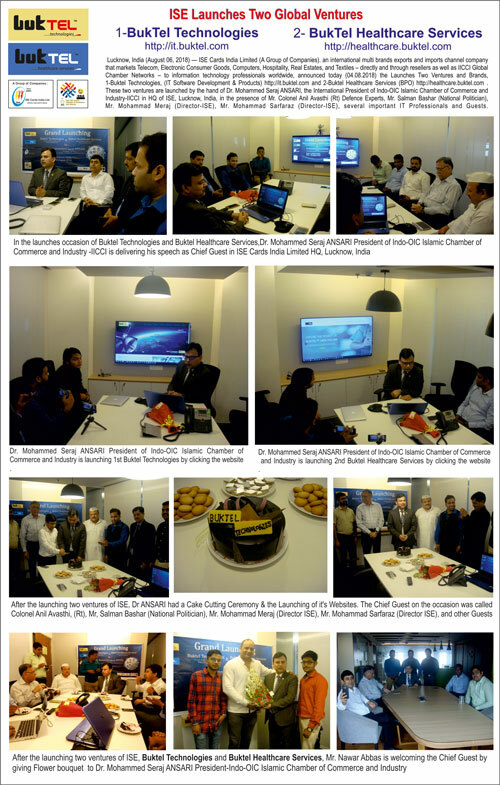 Colonel Anil Avasthi (Rt) Defence Experts, Mr. Salman Bashar (National Politician), Mr. Mohammad Meraj (Director-ISE), Mr. Mohammad Sarfaraz (Director-ISE), several important IT Professionals and Guests. The Buktel Technologies (ISE) is a software development services company, specializing in CRM, Mobile Application Development and Product Engineering Services, which includes expertise across industry verticals. We understand technology dynamics and proliferation, especially the rising cost pressures that clients face. It is our constant effort to provide cutting edge and cost-effective solutions accompanied by value add, which has been our primary drive towards our continuous pursuit for delivery excellence. Buktel Technologies works as a technology partner for software development needs. Buktel Technologies as software developers as well as business, government and educational entities. The company offers technology products from software publishers and manufacturers. Buktel Healthcare Services is venture of the ISE Cards India Limited (A Group of Companies), which was founded in 2001 in India. ISE Cards India Limited serving as the platform by which Buktel Healthcare Services to build a robust business process outsourcing enterprise. From 2018, Buktel Healthcare Services has been entered into healthcare services to provide best practices for Revenue Cycle Management. We also developed a new business model for healthcare & IT business operations. About ISE Cards India Limited. Welcome to the ISE Cards India Limited was founded in 2001 and ISE is a Group of Companies, whose business mainstay is Healthcare, IT & Telecom, Real Estates, Infrastructures, Hospitality, Consumer Goods, products and Services etc., More specifically, this means to organically fuse and exchange the characteristics of group companies and business partners, as a way of honing expertise that allows us to meet the broadly diverse demands of customers in a wide range of fields around the world. Now ISE has entered into IT and BPO business to cater world-class services to the customers. Global News : 02.07.2018, Lucknow, India, The Indo-OIC-Islamic Chamber of Commerce and Industry (IICCI) is issued officially an international press release and announced that the IICCI & ISE’s Global Trade Platform is launched by Dr. Mohammed Seraj ANSARI President-IICCI in the presence of many senior officials, This IICCI & ISE’s Global Trade Platform is exclusively for IICCI officials, as well as top and repute manufacturers, suppliers, and buyers all around the World. 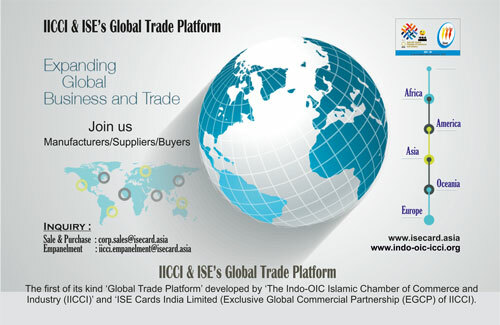 The IICCI & ISE’s Global Trade Platform - The Indo-OIC Islamic Chamber of Commerce and Industry (IICCI) and ISE Cards India Ltd. (ISE) (www.isecard.asia) jointly brings an opportunity to get buyers and sellers of IICCI member countries on one platform for bilateral trade for mutual benefit and ease of trading to aim building healthy and trustworthy business relations among the members. ISE being Exclusive Global Commercial Partner (EGCP) of IICCI always endeavouring to develop member countries by providing different platforms, Global Trading Platform being one of them. The goal of IICCI and ISE partnership is to create a harmonious business community to help grow and enrich the members together. Opportunity for Mutual Growth" The IICCI Global Chamber represents over 50 countries and appointed National Directors are from various fields and of repute and enthusiastic towards this project. Under guidelines framed jointly by IICCI and ISE, each National Directors, Chairman of National Branch/Chapters, and all officials of Commissions and Member of Executive Committee of IICCI is allowed to empanel 3 to 4 products from his country for this platform. This effort will transform to create the database of various products from member countries. Special Opportunity for World Top & Repute Manufacturers/Suppliers/Buyers" The IICCI/ISE also invites proposal from World Top & Repute Manufacturers/Suppliers/Buyers to Empanel their products and services to attract our global networks for sale and purchase with genuine parties under proper due diligence and screening by our national directors of each empanelment into IICCI/ISE. This database would have over thousands of prime products made available to all for bilateral trade. This database facilitates to the intended buyer-seller to build business confidence over each other as empanelled manufacturer would have been through strict due diligence procedures by National Director. Due to this, intended buyer-seller would take quick and positive decisions. At last, the President of IICCI Dr. Mohammed Seraj ANSARI has urged top and repute manufacturers, suppliers, and buyers all around the World and IICCI Member Countries to come and join this IICCI & ISE’s Global Trade Platform for secure, safe and credential business transactions to support individual country’s economy as well as global economy too. Global News : 04.06.2018, Lucknow, India , The Indo-OIC-Islamic Chamber of Commerce and Industry (IICCI) is issued officially an international press release and announced that the Indo-OIC Islamic Chamber of Commerce and Industry -IICCI and Beijing Ibex International Business & Consulting Company Limited, China has signed MOU. We are delighted to share with you the great news that Indo-OIC Islamic Chamber of Commerce and Industry -IICCI has jointly signed Memorandum of Understanding – MOU with Beijing Ibex International Business & Consulting Company Limited, China (Ibex Group) for the purpose of operation and future bilateral co-operation & promotion with China and IICCI Member's Countries. The President of Indo-OIC Islamic Chamber of Commerce and Industry -IICCI Dr. Mohammed Seraj ANSARI and Mr. Shaikh Azam (Aiwen) Chairman of Beijing Ibex International Business & Consulting Company Limited, China (Ibex Group) also is agreed to organize a high level bilateral co-operation & promotion with China and IICCI Member's Countries, which includes over 45 Countries and the IICCI Member's Countries will send business delegation to China for Business Events every quarterly round the years, the Ibex Group, China will organise all events for IICCI Member's Countries like ; Symposiums/Buying Missions in Medical Device and Healthcare, Agriculture Sectors, Consumer Goods, Automobiles, and Business Education Exchange Programs etc., and so on. The IICCI & Ibex Group is also agreed that reciprocate Ibex will organise Chinese business delegation and send to individual Member's Countries for trade and business and investments. It is also agreed that IICCI & Ibex Group will organise unique "Business Tourism", "Destination Management" and "Friendship Cities" are all promising new concepts for Member's Countries, this way China Mayors and Individual IICCI Member's Country's Mayors will have Friendship Cities Events, which IICCI and Ibex Group will organise one by one with Chinese Cities with individual IICCI Member's Countries. All these avenues give an opportunity to both sides to explore business opportunities, networking and culture exchange. 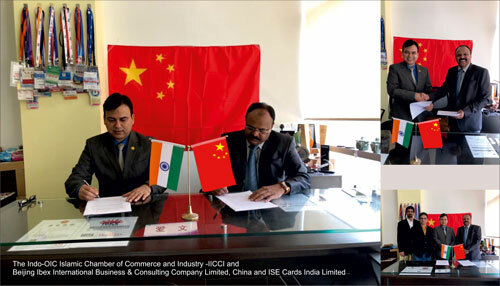 The IICCI's Exclusive Global Commercial Partner (EGCP) ISE Cards India Limited (www.isecard.asia) will deal all commercial with Ibex Group, China and execute all commercial projects on behalf of Indo-OIC Islamic Chamber of Commerce and Industry -IICCI with its Member's Countries. The Memorandum of Understanding – MOU was signed in the presence of Mr. DOSHI Jateen - Advisor-Economic & Finance IICCI (India), Mr. VERMA Vijay – Strategic Partner, Ibex Group. Global News : 27.05.2018, Lucknow, India, The IICCI is issued an international press release that “Indo-OIC-Islamic Chamber of Commerce and Industry (IICCI)” is granted Accreditation as an “Observer Status Organizations by International Coffee Organization (ICO) www.ico.org The International Coffee Organization International Coffee Organization (ICO), International Coffee Council is approved on dated. 8th th May 2018, and Accreditation 121st Session 2018. The International Coffee Organization (ICO), is main intergovernmental organization for coffee). The President of IICCI Dr. Mohammed Seraj ANSARI has expressed his congratulation to the International Coffee Organization (ICO), and International Coffee Council Members who has considered our IICCI Global Chamber as one of the potential partners to contribute & help ICO and its mission to provide leadership and encourage partnership in caring for the world coffee by inspiring, informing, and enabling nations and peoples to improve their quality of life without compromising that of future generations. The IICCI Chamber would like to work together with International Coffee Organization (ICO) so that ICO can strongly pursue a country-driven approach in its operations.. Global News : 23.04.2018, Lucknow, India, The IICCI is issued an international press release that “Indo-OIC-Islamic Chamber of Commerce and Industry (IICCI)” is granted Accreditation as an “Observer Organizations by United Nations Environment Programme (UNEP) www.unep.org The United Nations Environment Programme (UNEP), Governing Body is approved on dated. 26th March 2018, and released on 21st April 2018 Accreditation File No. 431/2018. The United Nations Environment Programme (UNEP), is one the principle agency of United Nations (UN). The President of IICCI Dr. Mohammed Seraj ANSARI has expressed his congratulation to the United Nations Environment Programme (UNEP), and Governing Body Members who has considered our IICCI Global Chamber as one of the potential partners to contribute & help UNEP and its mission to provide leadership and encourage partnership in caring for the environment by inspiring, informing, and enabling nations and peoples to improve their quality of life without compromising that of future generations. 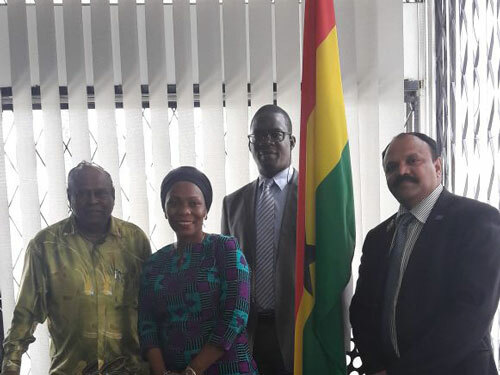 The IICCI Chamber would like to work together with United Nations Environment Programme (UNEP) so that UNEP can strongly pursue a country-driven approach in its operations.. 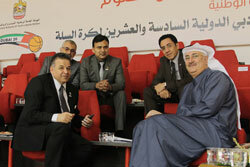 The IICCI is officially launched 5 (five) new Global Committees and announced its operation worldwide. 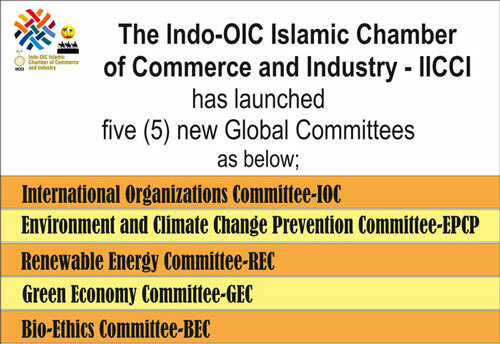 The Indo-OIC Islamic Chamber of Commerce and Industry - IICCI is officially launched 5 (five) new committees of the IICCI. Dr. Ahmad Shabanifard, National Director for IRAN of IICCI has presented a proposal before the President of Indo-OIC Islamic Chamber of Commerce and Industry -IICCI Dr. Mohammed Seraj ANSARI on dated 29.01.2018 and it was discussed with experts and plenary meeting of the Executive Committee has considered finally on dated 14.04.2018 and the President of IICCI has expressed thanks to Dr. Ahmad Shabanifard, National Director for IRAN of IICCI who has designed and advised necessity of the chamber and business and trade and economy of the world. 1. International Organizations Committee (IOC). OBJECTIVES : This committee studies and teaches the UN policies like SDGs and its sub-organizations outputs and advises the IICCI members to prepares their mile stones to design and develop their mutual future of OIC countries. 2. Environment and Climate Change Prevention Committee (ECPC). OBJECTIVES : This committee Teaches, gathers, prepares and launches all environmental policies and international protocols like the Paris Written Agreement for climate protection and Carbon reduction and cutting it. 3. Renewable Energy Committee (REC) . OBJECTIVES : Due to this kind of energy providing has low price availability for small colonies as well, and so environment friendly, should be developed more and more in various societies. 4. Green Economy Committee (GEC). 5. Bio-Ethics Committee (BEC) . OBJECTIVES : This committee prepares the best platform of launching all the development policies. The President of Indo-OIC Islamic Chamber of Commerce and Industry -IICCI Dr. Mohammed Seraj ANSARI has expressed an opinion the approaches based on reduction and finishing jobless people needs more empowerment and causes better income for people, it brings more justice and ends to more Peace and finally brings sustainable development for all member countries. The IICCI members countries should perfectly be aware that their total business better growing, requires total development assurance, then they can also play the Leadership role of Global Economic Growth. leaving future generations with nothing. b). Sustainable development is development that improves living conditions in the present without compromising the resources of future generations. The President Dr. Mohammed Seraj ANSARI is invites applications for 28 professional global committees of Indo-OIC Islamic Chamber of Commerce and Industry -IICCI professional and experts from all over the world to be nominated. Sub : Global News; IICCI, Malaysia is organised Special Meeting in Kuala Lumpur. 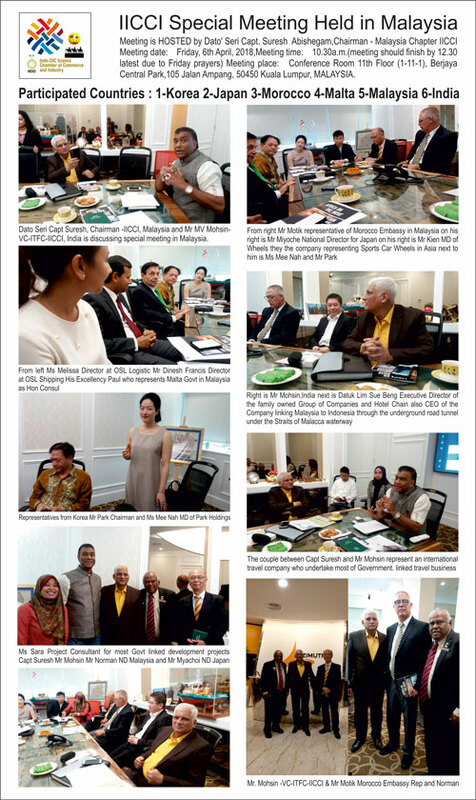 Global News : The Chairman - Malaysia Chapter of Indo-OIC Islamic Chamber of Commerce and Industry-IICCI Dato' Seri Capt. Suresh Abishegam, was organised a IICCI Special Meeting on advice of the President of Indo-OIC Islamic Chamber of Commerce and Industry-IICCI Dr. Mohammed Seraj ANSARI, where the following countries; 1-Korea, 2-Japan, 3-Morocco, 4-Malta, 5-Malaysia, 6-India, National Directors, and IICCI officials, Diplomates, Industrialists etc., has participated. The distinguish guests and IICCI officials have discussed about business, trade, economy cooperation between members countries of Indo-OIC Islamic Chamber of Commerce and Industry-IICCI , the delegates also discussed about membership drives, and several business issues, including organising many International Trade Fairs and Exhibitions, to develop B2B businesses between members countries of IICCI. Dato' Seri Capt. Suresh Abishegam, was discussed & presented a core subject i.e “creation of IICCI Portal and Apps Creating a Digital platform for the Members countries, Dato Seri Capt Suresh will prepare a white paper on above topics Creating an Electronic digital market place Establish a working group to move forward globally under the auspicious of the Indo-OIC Islamic Chamber of Commerce and Industry-IICCI for the benefits of members countries. Mr. Mohammed Viqar Mohsin, India (Fair Exhibition Organisers) of Vice Chairman of International Trade & Fairs Committee-ITFC of Indo-OIC Islamic Chamber of Commerce and Industry -IICCI (www.indo-oic-icci.org) has also presented his report of Special Meeting held during his visit to Malaysia, he has expressed his happiness and great meeting organised by Dato' Seri Capt. 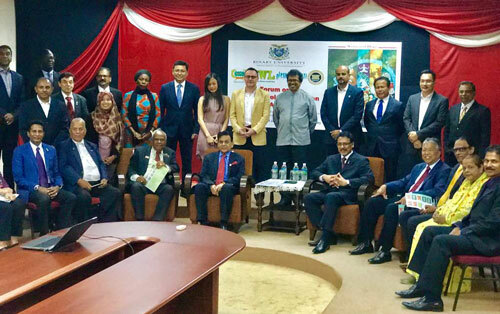 Suresh Abishegam, Chairman - Malaysia Chapter of Indo-OIC Islamic Chamber of Commerce and Industry-IICCI as well tremendous support by Mr. Batholomew Norman Nathan , National Director for Malaysia of Indo-OIC Islamic Chamber of Commerce and Industry-IICCI, others officials and delegates have participated. The Meeting is HOSTED by Dato' Seri Capt. 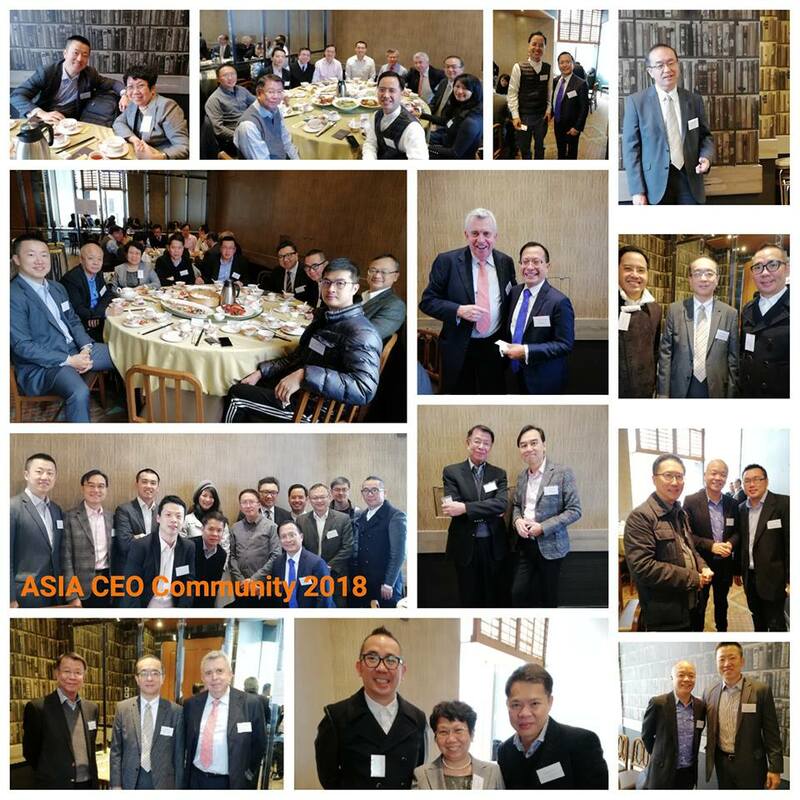 Suresh Abishegam, Chairman - Malaysia Chapter IICCI, Meeting date: Friday, 6th April, 2018,Meeting time: 10.30a.m. (meeting should finish by 12.30 latest due to Friday prayers) Meeting place: Conference Room 11th Floor (1-11-1), Berjaya Central Park,105 Jalan Ampang, 50450 Kuala Lumpur, MALAYSIA. Global News : 12.02.2018, Lucknow, India, The IICCI is issued an international press release that “Indo-OIC-Islamic Chamber of Commerce and Industry (IICCI)” has been Accredited Observer Organizations by Green Climate Fund (GCF) - www.gcfund.org, The Green Climate Fund (GCF), Board held on dated. 09th February 2018, having considered document GCF/BM-2018/01 titled “Accreditation of observer organizations” and through a decision taken between meetings on a no-objection basis. The Green Climate Fund (GCF), the primary financial mechanism of the United Nations Framework Convention on Climate Change (UNFCCC). The President of IICCI Dr. Mohammed Seraj ANSARI has expressed his congratulation to the Green Climate Fund (GCF), Board Members who has considered our IICCI Chamber as one of the potential partners to contribute to the achievement of the ultimate objective of the Green Climate Fund (GCF) and United Nations Framework Convention on Climate Change (UNFCCC). In the context of sustainable development, the Fund will promote the paradigm shift towards low-emission and climate-resilient development pathways by providing support to developing countries to limit or reduce their greenhouse gas emissions and to adapt to the impacts of climate change, considering the needs of those developing countries particularly vulnerable to the adverse effects of climate change. The IICCI Chamber would like to work together with Green Climate Fund (GCF) so that GCF can strongly pursue a country-driven approach in its operations. 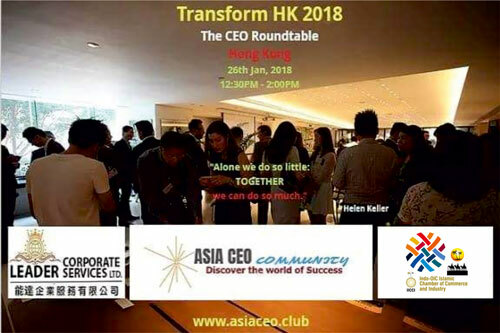 Event Sponsors : Leader Corporate Services Limite & Indo-OIC islamic Chamber of commerce & industry-IICCI Ms. Belinda Wong, National Director For Hong Kong of IICCI. **Gift Sponspor : New York Times. Mr. Raja Wassem Arshad, Designated Special Representative of IICCI was attended as an Obsever into Common Fund Comodities's AGM in Netherlands. 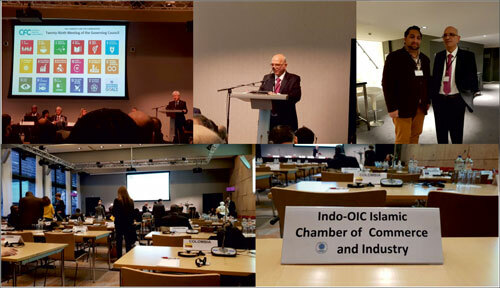 As Mr. Raja Wassem Arshad, the designated Special Representative of Indo-OIC Islamic Chamber of Commerce an Industry -IICCI was attended as an Obsever into Common Fund for Commodities (CFC)'s AGM in Netherlands. "The Common Fund for Commodities (CFC)'s 29th Annual Meeting of the CFC Governing Council was organised at Hague The Hague Marriott Hotel in The Hague, The Netherlands on 7th - 8 December 2017 which was attended by over 50 Country's Diplomates (Ambassadors) and Government entities. The IICCI was given an opportunity to attend, CFC AGM as an Observer, where the IICCI Special Represenratve has Observed many great discussion on global issues, and Global Projects, and Global Commodities from different delegates, the CFC was presented its all their businesses report, which was completed during previous year, and the CFC has also presented their coming year plan and projects before CFC Governing Council. at the closing of CFC Governing Council meeting, the IICCI Special Represenratve has learned huge and usefull information and discussion, which will ultimate very usefull for Indo-OIC Islamic Chamber of Commerce an Industry -IICCI and its member countries. The Dr. Mohammed Seraj ANSARI, President - Indo-OIC Islamic Chamber of Commerce an Industry -IICCI has expressed willingness to work with the Common Fund for Commodities (CFC) and the IICCI will submit soon many projects before the management of Common Fund for Commodities (CFC) and will also focus to make some memorandum of understanding (MoU) to continue support to the Business and Industry by implementing many social projects for betterment of the Global Business and Industry. CFC, Netherlands has invited IICCI Chamber as Observer to attend its AGM in Netherlands. 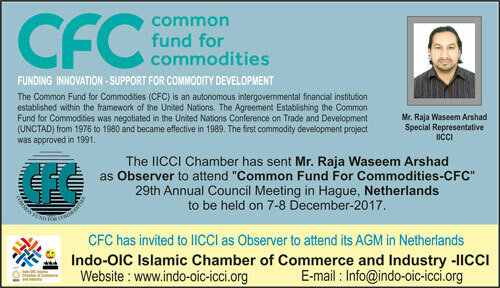 Great News that "The Common Fund for Commodities (CFC) has invited The Indo-OIC Islamic Chamber of Commerce an Industry -IICCI (www.indo-oic-icci.org) to attend its 29th Annual Meeting of the CFC Governing Council which will take place on 7th - 8 December 2017 at Hague The Hague Marriott Hotel in The Hague, The Netherlands. The Common Fund for Commodities (CFC) is an autonomous intergovernmental financial institution established within the framework of the United Nations. The Agreement Establishing the Common Fund for Commodities was negotiated in the United Nations Conference on Trade and Development (UNCTAD) from 1976 to 1980 and became effective in 1989. The first commodity development project was approved in 1991. The Dr. Mohammed Seraj ANSARI, President - Indo-OIC Islamic Chamber of Commerce an Industry -IICCI has designated Mr. Raja Waseem Arshad as Special Representative of IICCI to attend 29th Annual Meeting of the CFC Governing Council of The Common Fund for Commodities (CFC) which will take place on 7th - 8 December 2017 at Hague The Hague Marriott Hotel in The Hague, The Netherlands. The Dr. Mohammed Seraj ANSARI, President - IICCI has expressed his desire to work with "Common Fund for Commodities (CFC) in India as well as in all Member Countries of the IICCI in over 40 countries. The Common Fund for Commodities (CFC) has financed development projects. The multi-country dimension of the project financing mechanism and commodity initiatives undertaken by the Fund and its partners has proven to be the most suitable approach to improve overall problems and challenges in commodity sector in their Member-Countries. The Common Fund for Commodities (CFC) Replicable project outcomes and dissemination products mainly address issues such as: market access and development; agro-processing; product competitiveness; infrastructure; marketing and access to finance, among other related activities within the commodity sector. 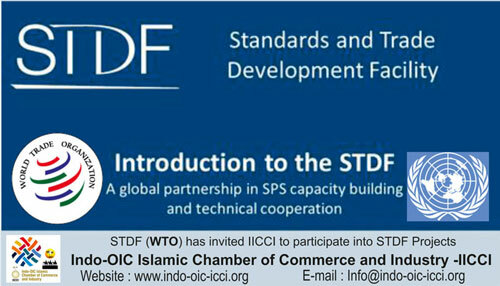 STDF (World Trade Organizations-WTO) United Nations has invited IICCI Chamber to participate into projects funding. Great News that " World Trade Organization - WTO (United Nations Agency) and its Standards and Trade Development Facility (STDF), has invited to participate into Standards and Trade Development Facility (STDF) project Funding with “Indo-OIC Islamic Chamber of Commerce an Industry -IICCI”. The World Trade Organization - WTO is the world biggest business intergovernmental organization of UN, which is all Countries of the world is Member of it. The Indo-OIC Islamic Chamber of Commerce an Industry -IICCI has asked all National Directors, National Branches/Chapters, and Officials of IICCI in each member countries of the world to choose the projects and apply few projects ranging amount from US$ 50,000 to US$ 10,000,00 (1 Million) in each country of our officials of IICCI. The projects submission date is 22 December 2017. The IICCI, HQ, India has asked all National Directors, National Branches/Chapters, and Officials of IICCI in each member countries of the world to immediately submit specific projects and develop Standards and Trade Development Facility (STDF) of WTO in their Business, Trade and Economy of their Country. The following two categories of projects funding is 1- Projects = US$ 50,000.00 (Project preparation grant (PPG), which aim to help countries to identify their SPS needs and develop a project proposal for funding) and upto 2- Projects = US$ 10,000,00 (1 million) (Project grant (PG), which aim to address clear SPS issues that are directly or indirectly related to international trade and market access. Mr. Henry O. J. TUCKER,National Director-Indo-OIC Islamic Chamber of Commerce and Industry-IICCI, he has got an opportunity to deliver the introductory speech and privileged to introduce before the H.E. 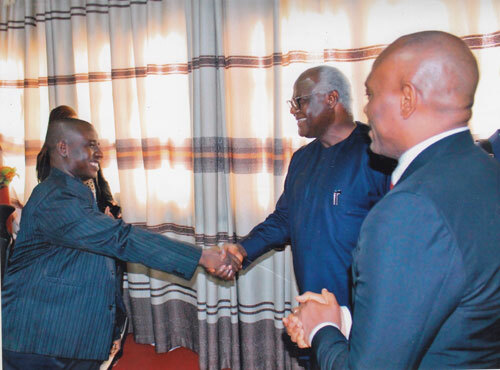 President Sierra Leone Mr. Ernest Bai Koroma about his appointment as the National Director for Indo-OIC Islamic Chamber of Commerce and Industry-IICCI to promote bilateral trade between India and Sierra Leone. There was also with him Chief Executive Officer (CEO) of the Tony Elumelu Foundation, Founder Tony Elumelu and his team to make donation to the Government of Sierra Leone on behalf of the Mudslide victims during the August, 14 mudslide. Mr. Norman Nathan National Director for Malaysia of Indo-OIC Islamic Chamber of Commerce and Industry-IICCI and Vice Chairman-International Trade & Fair Committee-ITFC of Indo-OIC Islamic Chamber of Commerce and Industry-IICCI, were at High Commissioner of Republic of Ghana in Malaysia to meet the Acting High Commissioner and her Deputy High Commissioner at High Commission of Republic of Ghana, Kuala Lumpur , Malaysia. Mr. Norman Nathan National Director for Malaysia of Indo-OIC Islamic Chamber of Commerce and Industry-IICCI and Vice Chairman-International Trade & Fair Committee-ITFC of Indo-OIC Islamic Chamber of Commerce and Industry-IICCI have discussed about the trade and business development in Ghana, and Vice Chairman-International Trade & Fair Committee-ITFC of Indo-OIC Islamic Chamber of Commerce and Industry-IICCI has assured all support the Business and Industry of Ghana from IICCI, HQ, India. 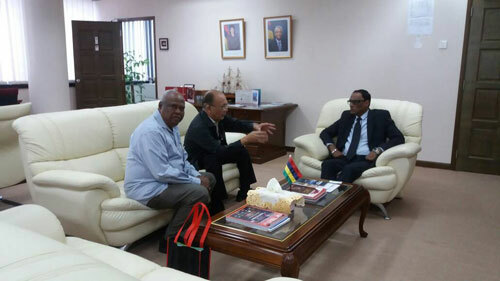 Mr. Batholomew Norman Nathan, National Director for Malaysia of Indo-OIC Islamic Chamber of Commerce and Industry-IICCI and Mr. Oshio Miyauchi , National Director for Japan of IICCI is having physical meeting with H.E.Dato Dr Issop Patel, National Director for Mauritius of IICCI as well as High Commissioner in Malaysia, Mauritius High Commission, in Embassy of Mauritius in kualalumpur, Malaysia.. There was discussion on joint collaboration, activities for supply of products and services between the three countries this is the start for many business operations. 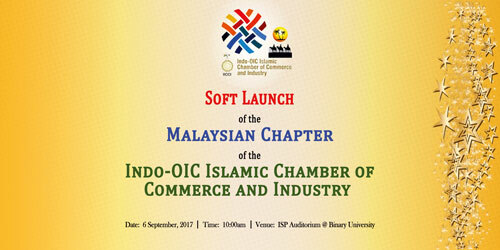 Malaysia National Branch/Chapter Indo-OIC-Islamic Chamber of Commerce and Industry-IICCI is Launched . The Datuk Mohd Iqbal President of Malaysian Global Business Council hand over the Soft Launch document to Tan Sri Joseph Adaikalam who has been appointed Malaysia Chairman for National Branch/Chapter of IICCI on 6th September 2017 by H.E. Dr. Mohammed Seraj ANSARI President-IICCI, HQ. India. There was several distinguish guest as VIPs from Government of Malaysia and Private Sectors, Ambassadors, Mr Pillai Former Deputy at Foreign Ministry, Datuk Chandra Selangor State and Federal Territory Chief for Ruling Political Party and Mauritius High Commissioner to Malaysia etc., was attended the soft launch of Indo-OIC Islamic Chamber of Commerce and Industry-IICCI Malaysia Chairman for National Branch/Chapter of IICCI in Puchong State of Selangor at the Binary University in Malaysia on 6th September 2017. It is also adopted that Bylaws and Constitution of National Branch/Chapter for Malaysia of IICCI will be registered into Society Registration Act of Malaysia, it is also confirmed that the Chairman National Branch/Chapter for Malaysia of IICCI will also appoint his Executive Committee & Committees for proper function of National Branch/Chapter for Malaysia of IICCI. All Board of Governors - Malaysian Global Business Council and all Invited Guests. Global News : Indo-OIC Islamic Chamber of Commerce and Industry- IICCI (www.indo-oic-icci.org) has supported The Global Halal Expo - India 2017, which is going to be held in Hyderabad, Venue: City Convention Centres, Hyderabad, Indias from 19th, 20th & 21st September 2017. (For details, contract at : info@isecard.asia) IICCI. The Global Halal Expo 2017 opens the gateway to over US$ 1.1 Trillion Market - The Muslim Consumers! Staged in Hyderabad, 'The city of Nizams' at the City Convention Centre, the expo promises to be first of kind trade expo in India. The Global Halal Expo 2017 will run the information drive on benefits and advantages of halal certification and the and will unlock the true potential of the Islamic market globally. Learn to interact and do business in the US $ 1.1 Trillion Market only in halal segment. The Global Halal Expo 2017 will not only promote trade between the rest of the world and Islamic world it will also create awareness on 'Halal' living and the wider concept of halal and its extension to industries besides food & beverages. The show will bring to you on a platter the macro and micro fundamentals of a halal economy. Press Release- 14.01.2017, Lucknow, India , The IICCI has issued a press release and announced that the “Indo-OIC-Islamic Chamber of Commerce and Industry (IICCI)” has been launched officially by its first President –IICCI Dr. Mohammed Seraj ANSARI. National Brand Awards - In Collaboration with "International Nobel Peace Prize Recommendation Forum-INPPRF" and "International Non-Olympic University - INOU". The Indo-OIC Islamic Chamber of Commerce and Industry -IICCI has signed a MOU with INPPRF and INOU joinly that all category of Awards of National Brands Awards would be given each year to IICCI Members in OIC Nations.